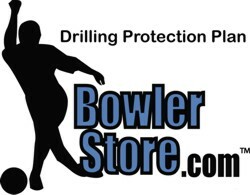 If your new ball cracks when it's drilled by a pro shop, Bowlerstore.com will replace your ball free of charge! Manufacturers' warranties typically do not cover for cracking during drilling and drillers are not held responsible for their mistakes or defects in the ball. *The distance between any hole and the pin may not be less than 1"